Overview to the new Software.  New NVR integration (SRN-470D / SRN-1670D)  Net i - Ware integration (SNS-SFXXX  All door command button  Video popup. 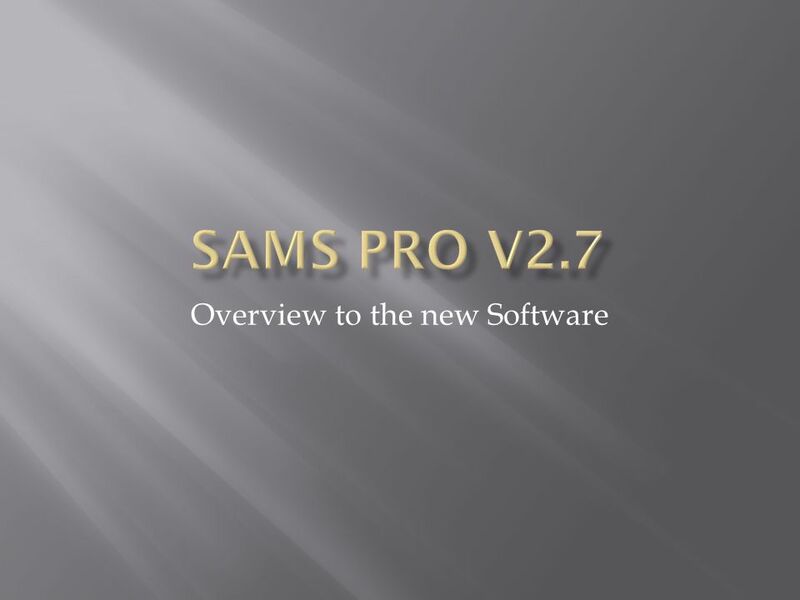 Download ppt "Overview to the new Software.  New NVR integration (SRN-470D / SRN-1670D)  Net i - Ware integration (SNS-SFXXX  All door command button  Video popup." Your Introduction to… SYSTEM VII - Built to Impress Vista Business Capability Designed to run on the very latest in Operating Systems. The Monash Experience The complete solution Presented by Glenn Martin - Business Development Manager - Unicard Systems Pty Ltd Trevor Smith – Security. ViconNet Events Management Module Easily integrates ViconNet video with 3 rd -party solutions. XProtect® Web Client 1 Product presentation. Welcome to the Award Winning Easiest to Use & Most Advanced View, Manage, and Control Security, Access Control, Video, Energy & Lighting Systems, & Critical. Employ Florida Marketplace One-Stop Efficiency. What IS One-Stop Efficiency? A way to improve overall one-stop location efficiency. Provide crowd and. What’s new presentation XProtect ® Corporate 2013 R2 XProtect ® Expert 2013 R2 XProtect ® Smart Wall 2013. DSX / Video Insight Driver Interface. 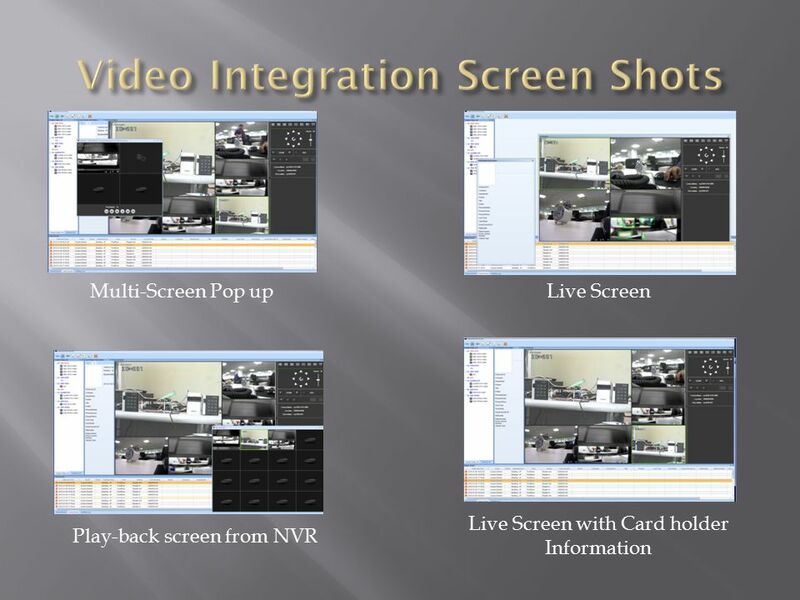 Prerequisites for Video Insight DVR: 64 Bit Operating System (Windows 7 or equivalent) SQL Server 2008 R2 (Please. What’s new in this release? September 6, Milestone Systems Confidential Milestone’s September release 2012 XProtect ® Web Client 1 Connect instantly. 4-CH Network Video Recorder NVR-400 Copyright © PLANET Technology Corporation. All rights reserved. 1 Module 1 The Windows NT 4.0 Environment. 2  Overview The Microsoft Operating System Family Windows NT Architecture Overview Workgroups and Domains. PulseHR Time and Attendance software development and coding web development, web hosting IT project management and consulting Str. Ghioceilor. Overview I-LINE2 is a browser based, train weight management software package, designed to provide an information interface for Weighline and Streamline.